Steven I. Frenkel is a Principal in Cummings & Lockwood's Litigation Group and is based in the Stamford office. 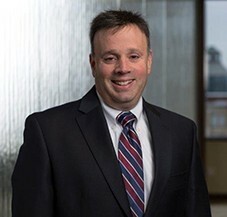 Steve has over 25 years of trial, arbitration and mediation experience in the areas of commercial and business litigation, creditors' rights and foreclosure and asbestos defense while representing business and financial institutions, insurance entities, individuals and companies. Steve also serves as national asbestos counsel to a major oil petrochemical company and as regional defense counsel to a number of companies.